Home Tech Talk Random Tech Augmented Reality - Remember Max Headroom? Language - natural language processing NLP and other utterances. Torrent Search for Max Headroom content. A funny side note, the station WTTW was hijacked by a Max Headroom character. Funny stuff. Amazing to think what a good graph library and user interface will provide us. Graphs allow us a way to represent data visually at the same time keeping elements discrete. So graphs are also analytic tools that can solve problems. 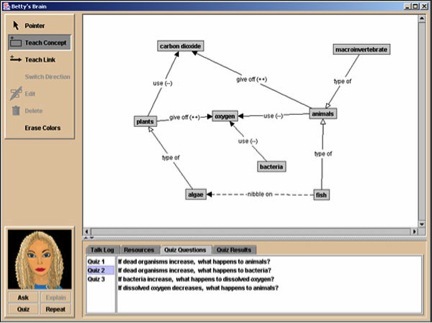 The above is a sample of how you can use graph theory, information, and visualization together. predicates and relationships. Augmented reality and virtual reality make you think about human computer interaction and consciousness research. Margins Of Reality Augmented Reality Welding Mask With 100 Million to 1 Contrast Ratio - eyetap welder mask. Answers and Questions About Military, Law Enforcement and Intelligence Agency Chatbots | Electronic Frontier Foundation - no one really wants to talk to those people, poor chatbots. RRRR : Cheer Up the ChatBot - chatbot: im sad. Mitsuku Chatbot - Mitsuku uses a programming language called AIML to understand and respond to people and I have written a number of AIML files to add extra content to her.